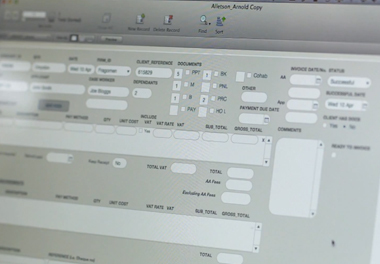 FileMaker helps Arnold DaSilva to keep up with changes within the immigration logistics industry. In the fast moving world of immigration, organisation is everything. Papers and documents need to be processed on time, or people’s entire lives can grind to a halt while the right visas and applications make their way through the various embassies and official bodies who authorise movement in and out of the UK. Until recently, Jeremy and his team managed the progress of each application on paper. With documents moving back and forth across the government agency, Jeremy and his team would track each application’s progress in a notebook, before updating a database back at the office. As a result, the same information would end up being recorded twice, and notifying clients of progress was done largely by phone. It was when browsing the App Store that Jeremy came across his solution. “FileMaker Go. I read a little bit about it, and it sounded absolutely perfect. Here was something that was built specifically for the iPad, but had a really strong database in the background as its basis.” Jeremy made the leap and, with the help of FileMaker Platinum developer DataTherapy, set about building a system that would transform his business.